If you want to stay in a private pool villa during your time in Bali, our Chintanami villa is the perfect option. Nestled at the top of a cliff and facing the morning easterly sunrise, this resort villa is the ultimate in luxury. One of our most popular luxury villas, it comes complete with its own private garden with incredible views over the estate, a private swimming pool, an outdoor living area and a luxurious indoor bathroom for a completely comfortable stay. Our Chintanami private villa is a relaxing retreat that features magnificent marble floors throughout to create a sense of five-star living. Sink into the beautiful four poster bed and look out to your private swimming pool and garden, allowing you to experience pure contentment. This luxury accommodation is the only villa on the Sukhavati estate to have an indoor bath tub for the ultimate in relaxation. Submerge in a warm bath and enjoy the spectacular views of the estate through the floor to ceiling windows, overlooking your own stunning private garden. 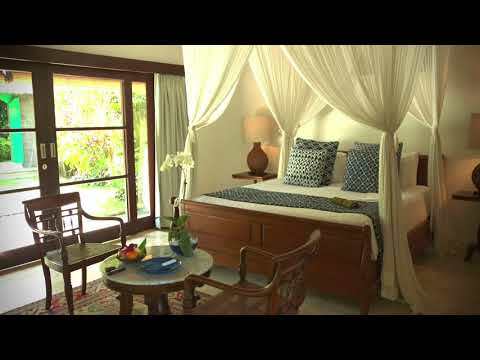 This is truly one of the best places to stay in Bali for those looking to get away from the stressors of modern life. All of our wonderful villas include Sonos speakers for you to use during your stay. For more information, please email rejuvenation@sukhavatibali.com or enquire here.